Range of super absorbent floor cloths which are manufactured at our UK factory. These good quality cloths are available in a variety of weights and sizes. Great for removing stubborn stains and dirt from floor surfaces. 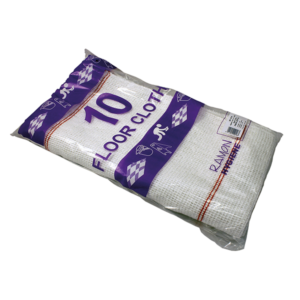 Super absorbent and heavy duty floor cloth is ideal for all floor and wall cleaning. The floor cloths abrasive qualities help remove stubborn dirt and stains. Each cloth features a blue and yellow stripe and can be washed and reused. Manufactured at our UK based factory, this super absorbent medium duty floor cloth, ideal for all floor and wall washing cleaning. The floor cloths abrasive qualities help remove stubborn dirt and stains. 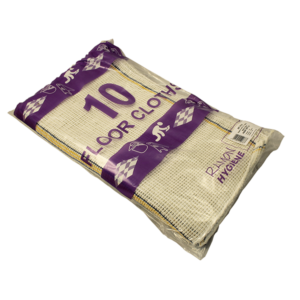 Super absorbent and extra heavy duty this floor cloth is designed for the toughest cleaning tasks, ideal for all floor and wall cleaning. 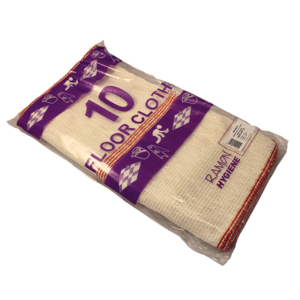 The floor cloths abrasive qualities help remove stubborn dirt and stains.